all in one hub, wherever you are. 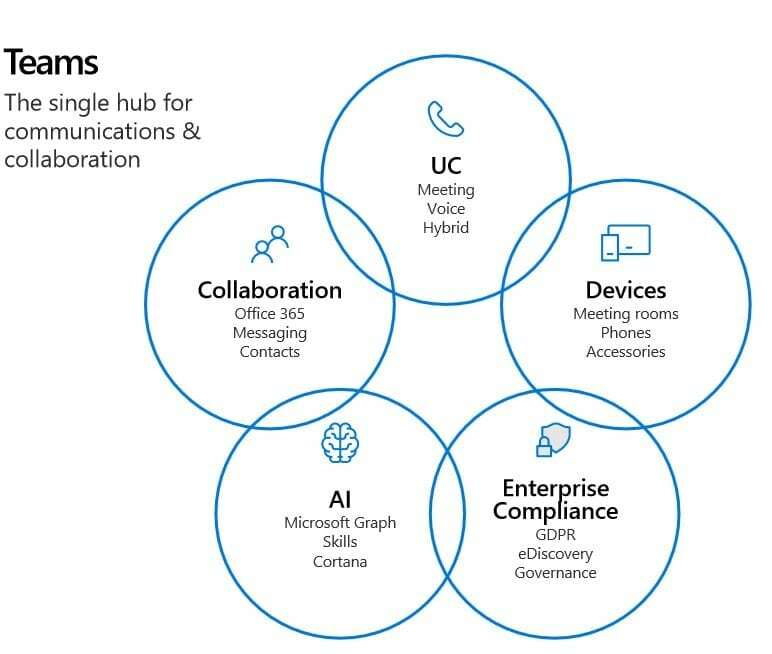 Enables connected, insightful experiences to deliver the future of meetings using intelligent user assistance before, during and after the call. From team meetings to live streaming, or dialing into a conference call, Microsoft Teams is designed for all your meeting needs. Experience Microsoft Teams meetings on desktop, mobile, or Skype Room Systems with HD video. Having communications right alongside content to share, contribute and co-edit on documents to assist disperse teams to achieve more together. Communicate in the moment and keep everyone in the know. 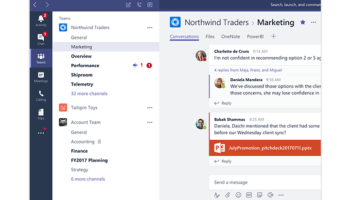 Chat in Microsoft Teams, privately one-on-one or in groups. Audio and video calls are just a click away and notifications and chat history ensure everyone is kept up to date. 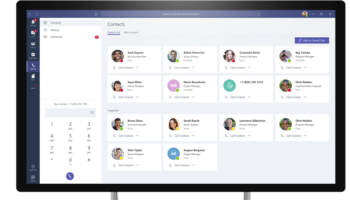 Access Microsoft Teams on any device with confidence knowing it's been built with enterprise-level security from Office 365. Give your team access to the information they need, right in Office 365. 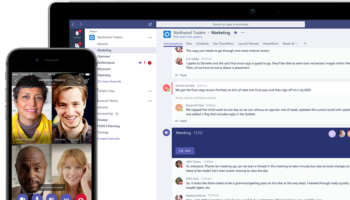 Chat, content and tools are all in the Microsoft Teams workspace. SharePoint, OneNote and Skype for Business are built in and you can open Office and other documents right in the app. Tailor your workspace to include the content and capabilities your team needs every day. Tabs and Connectors provide quick access to frequently used documents, websites and 3rd party apps such as Trello, GitHub and Asana.